So do you want to visit the real tropics? 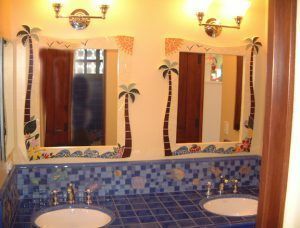 If you really want it then you can definitely make it and we will help you in this, but without the help of the tourism agency or the plane, no. What we gonna suggest is to use the magical designing features. 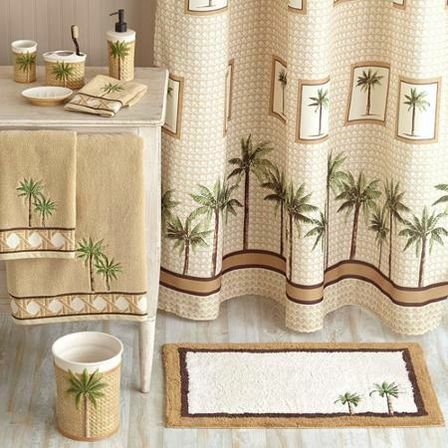 The tropical interior decoration included such natural material as the palm tree’s leafs, bamboo and teak. 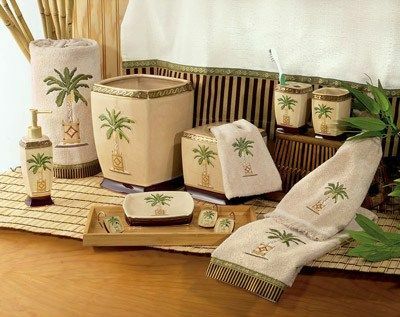 These materials influence lots of the decoration destinations such as most of the flats made in a Hollywood regent style are decorated with the varnished furniture and textile, completed by the palm leafs and the other characteristical materials, but today we gonna take the last one as the main decoration element. 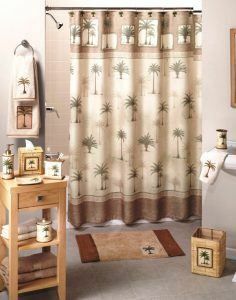 By its in the palm tree leafs you can definitely turn your bathroom into a paradise corner where it’s always fresh and light. 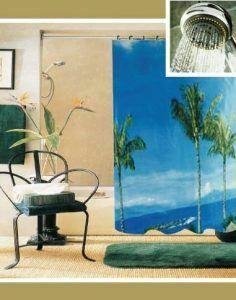 It has even the best effect if the walls are white or hour and the blinds are linen and have the milky color shade. 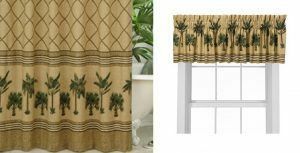 The more expensive interiors can be proud to show the decoration made by the placement of the big tubes with the palm trees, the gorgeous decorated pillows and the blinds made from silk. But what to do if you do t want to change the whole interior and turn it into a typical tropical place, but want just to complete your minimal style with e few tropical pieces such as the palm tree’s leafs? Than it’s totally not necessary to change all your bathroom furniture having the straight lines into the shared forms of the twisted wood. 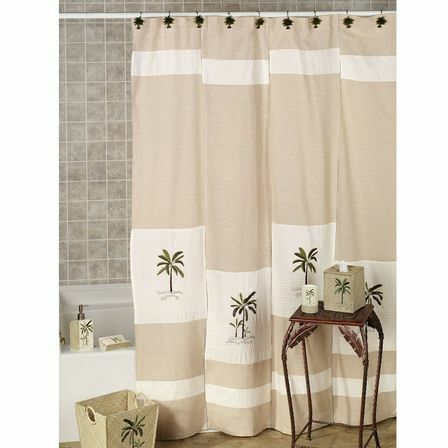 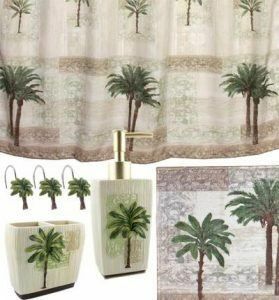 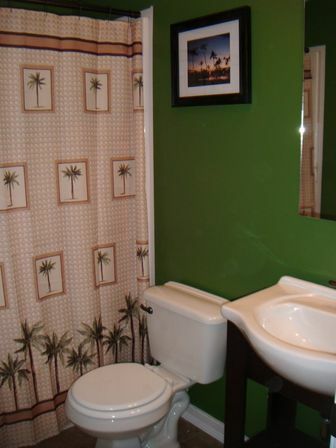 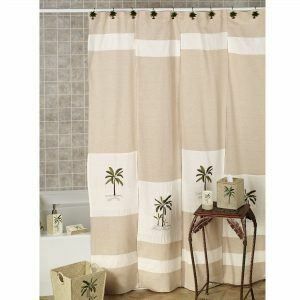 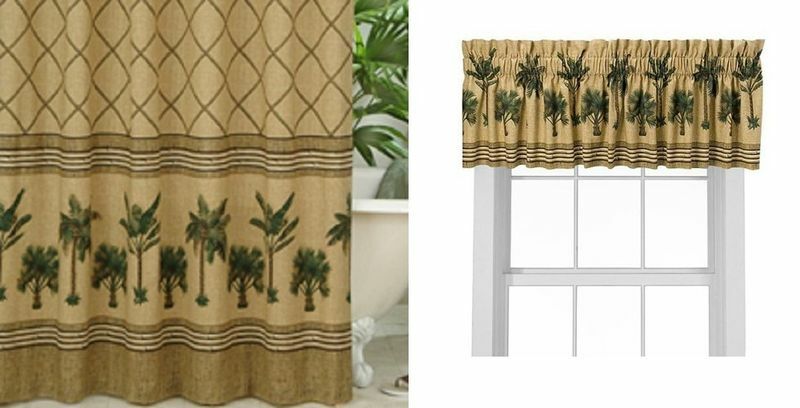 All you can do here is to decorate your bathroom with the bathroom blinds with the palm leafs print and to complete it with the piece of the real one in the tiny vase that can stay on your bathroom vanity. Decorating the bathroom with the palm tree leafs you will definitely understand if you are the real fan of this interior style or you just randomly liked it by going through the furniture catalogues as here you definitely don’t have the possibility to lie to yourself. In this case if you are not totally sure it’s better first to try this style in the small bathroom such as the guest one if you have and than if you find this style perfect for you can always keep both of the bathrooms in the same style which is gonna be super stylish, especially if the rest of the house is made in a totally different style. 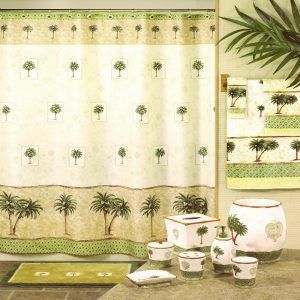 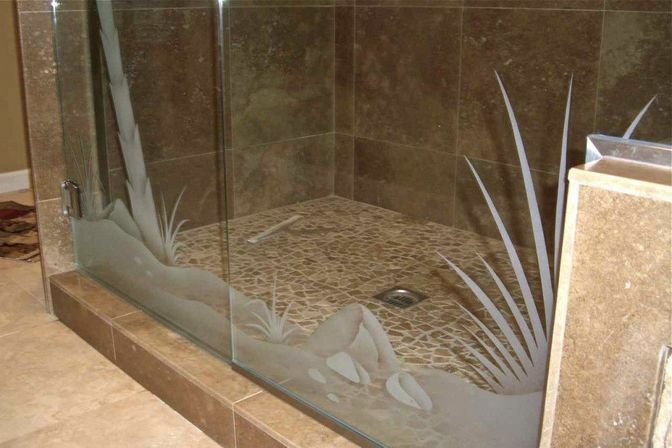 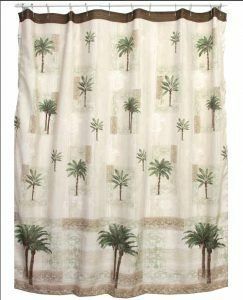 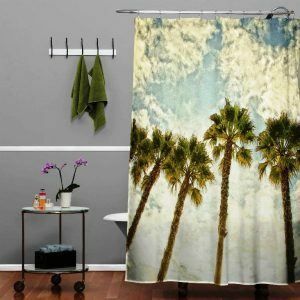 If you want to try the palm tree bathroom decor in your house than you can slowly start making it from the palm tree leafs placed in the vases and than slowly go to the bigger plants or get the wallpapers made with the palm tree leaf’s print on it. There are so many varieties of them – you can’t even imagine. There are so many types of the wallpaper materials and some of them will be definitely perfect for the bathroom as they have a higher level of the moisture-proof then the others. 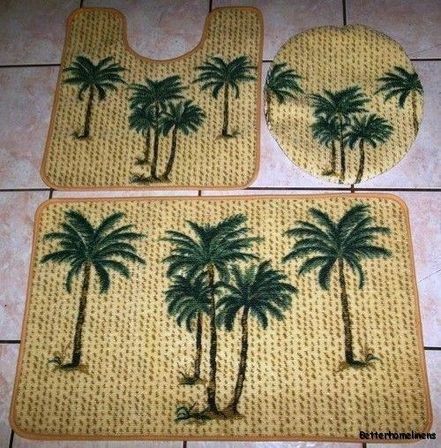 So by doing this you can finally turn your whole home into the paradise place where you gonna feel yourself like you are on the vacation during the whole year. 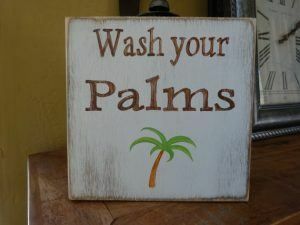 Talking about the bathroom decor elements or the accessories we should say that even here everything doesn’t stop just on the palm trees, that should be putted everywhere – no! 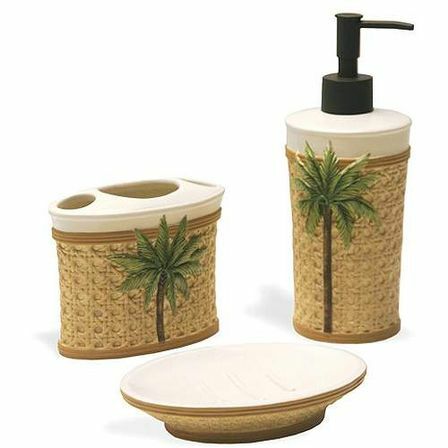 We can definitely mix it with the other tropical elements that just gonna accent your attention of them and make your palm tree bathroom decor looking even more gorgeous as if you choose the good quality materials that this interior is such a gorgeous choice for the gorgeous bathrooms. 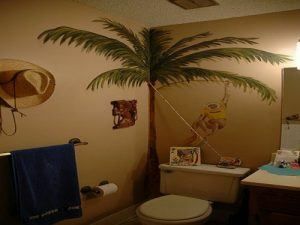 Of cause a lot of things depend on the size of your bathroom as if you have a really big one where after all the bathroom furniture and the sanitary engineering establishing there are still gonna be some place for such a decoration as a palm tree placed in the big tube that can definitely find its place in the bathroom corner. It’s also such an unusual trick, but you can also place the whole oil palm tree paintings in the bathroom. 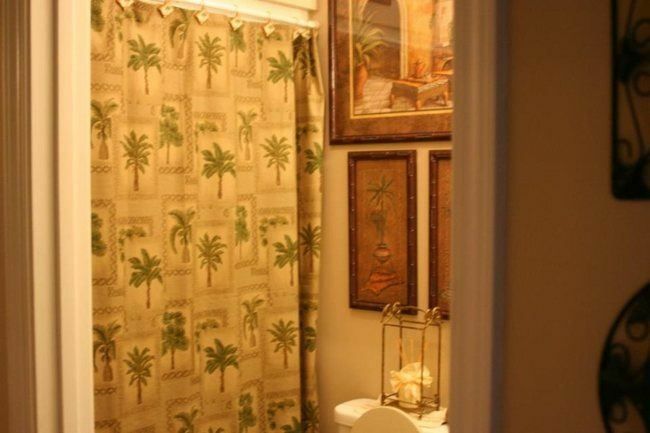 Oil is some kind of the moisture-proof material so you should be scared that this painting will get destroyed straight after you buy it and place in your bathroom. There also can be the lighting fixtures that have the palm tree leafs form and have the diffusing lamps that will totally help you not just to relax after the fool working day, but also to make some kind of an intimate atmosphere. Don’t forget that you can also choose the bathroom decoration pieces or even make it by yourself using the mass of the natural material’s varieties. 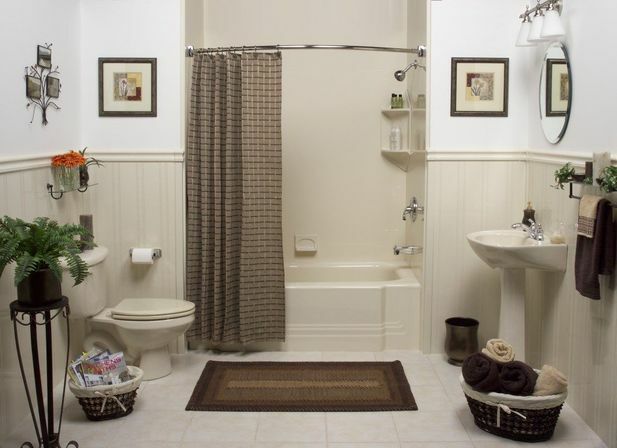 It can be the bathroom small carpet made from the seaweed or the pending lighting fixture made from the same kind of material. 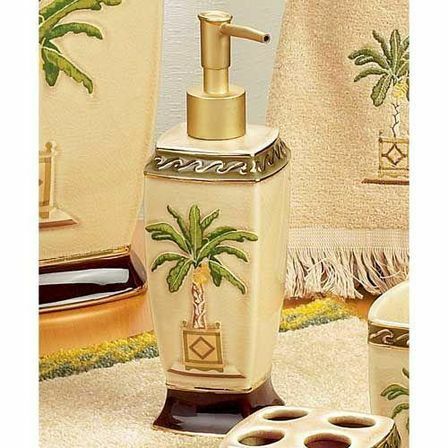 For sure there can be also used the real palm tree’s leafs that has been specially varnished, but most of the times this choice isn’t the most convenient so the designers still choose the bathroom furniture that just follows the main palm tree texture and has it’s pattern. 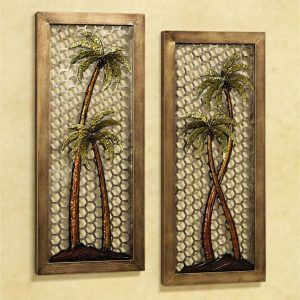 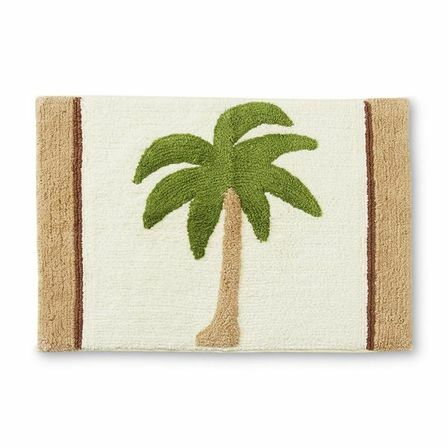 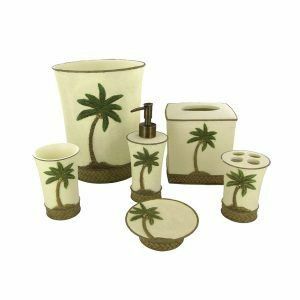 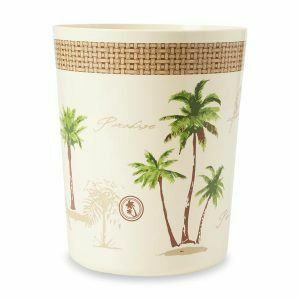 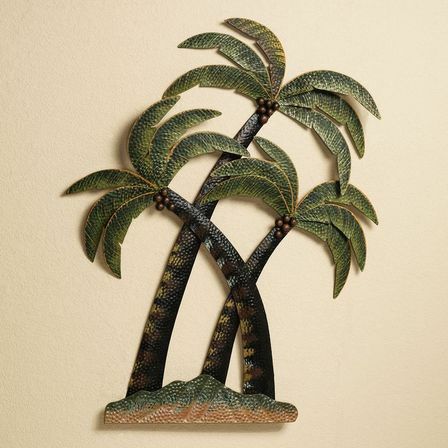 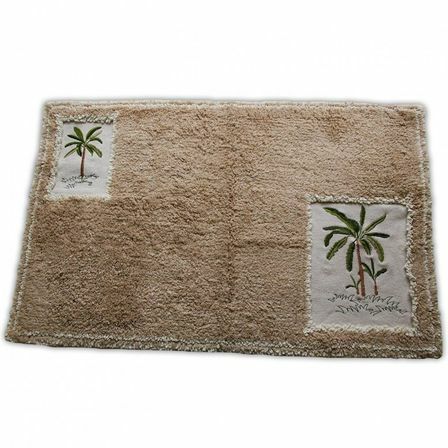 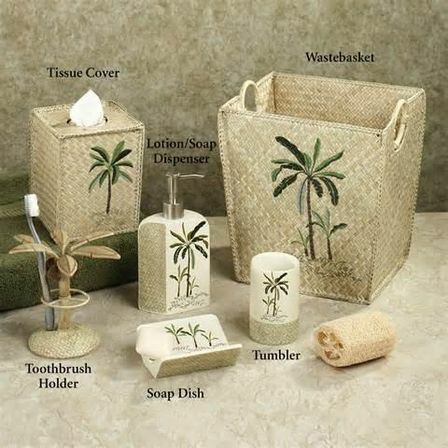 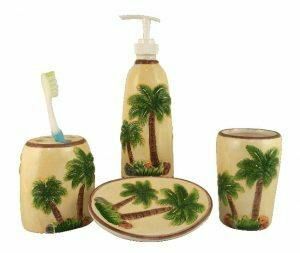 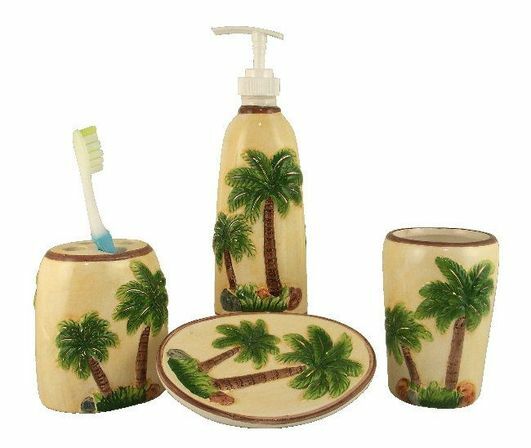 So you can definitely see that by choosing palm tree bathroom decor you get a mass of the decoration varieties that let you choose between the whole bathroom decor changing or just adding the single accents. 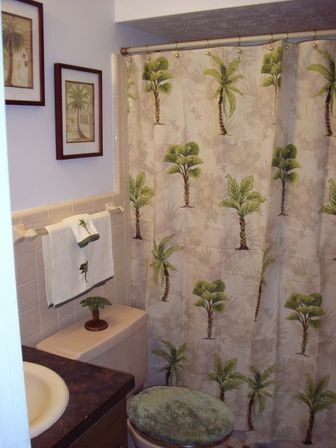 And whatever variant you choose you will still get a more fresh and light bathroom look then before. 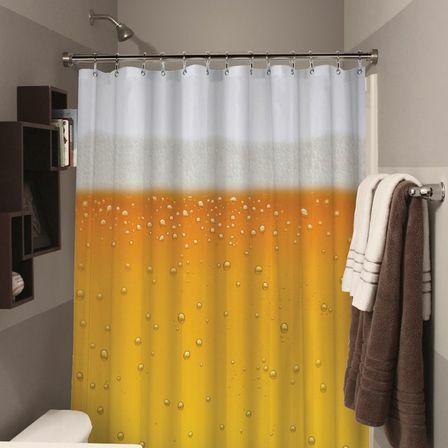 Beer bathroom décor and the spirit of a wild nature. 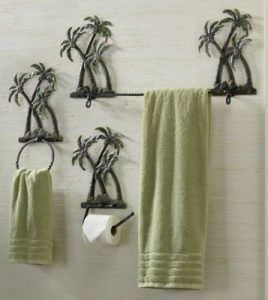 How to amaze your guests with the guest bathroom decor. 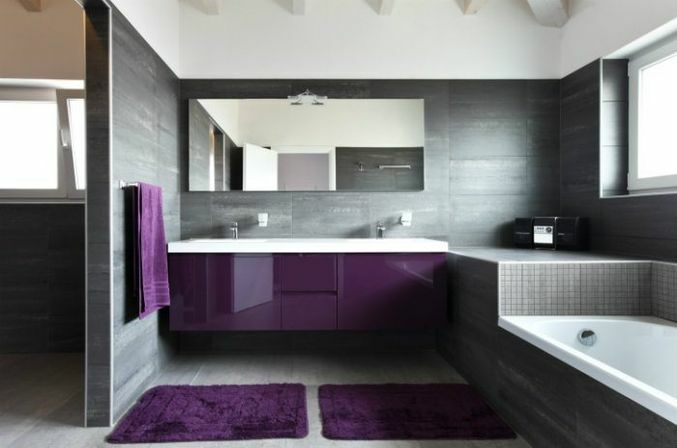 Modern bathroom décor and it’s features.